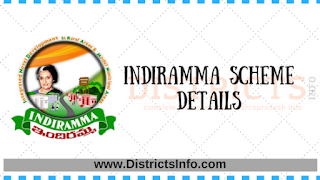 Integrated Novel Development in Rural Areas and Model Municipal Areas [INDIRAMMA]model villages. INDIRAMMA is the flagship programme of Government of AP & Ts to deliver a package of 9 services like housing, pensions, drinking water, roads, elementary education, electricity, ICDS, health and sanitation to the rural and urban poor. The Phase I of INDIRAMMA programme was started in 2006 (the actual construction has begun only by December 2006) in 8,026 Gram Panchayats and 1,317 municipal wards. 8,037 Gram panchayat and 1,487 Municipal wards have been taken up for coverage under the Phase II programme. The last phase of villages and wards are being covered under the Phase III programme.